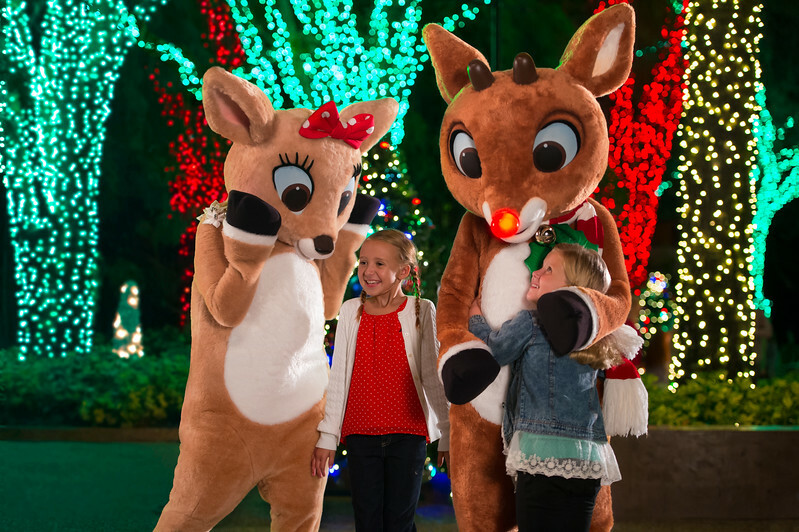 SEAWORLD’S CHRISTMAS CELEBRATION returns this year November 17, 2018 through January 6, 2019 with a must-sea selection of seasonal offerings. SeaWorld’s premier family roller coaster, Manta, transforms into a Christmas thrill ride with the newly re-imagined Merry Manta! Dynamic lighting and energetic Christmas music create three different shows in the ride’s launch tunnel. Riders will twist and turn through a sea of glowing Christmas trees while the cool holiday air rushes by. Presented daily in the park’s Mission Bay Theater. Rudolph’s Christmastown has something for everyone, including photo opportunities with Rudolph (the only theme park on the West Coast where people can meet) and his friends Clarice, Bumble and Yukon Cornelius. Plus, guests can sing along during the nightly tree-lighting ceremony of the 40-foot Happiest Christmas Tree. SeaWorld’s Christmas Celebration continues long after Dec. 25, with special performances of the Three Kings Procession, Jan. 1-6 only. Elmo and friends celebrate the season with Elmo’s Christmas, a dance party every day at 3 p.m. on the Furry Photos stage at Sesame Street Bay of Play. SeaWorld brings the moving story of the Nativity and the meaning of Christmas to life through song and celebration at this live holiday musical. The spectacular stage show, performed under the stars nightly at the park’s Nautilus Amphitheater, tells the Christmas story from a new point of view: through the eyes of the animals. This breathtaking musical features more than 30 carols, beautiful storytelling puppets and live majestic animals, including camels, a donkey, llamas, sheep and doves. 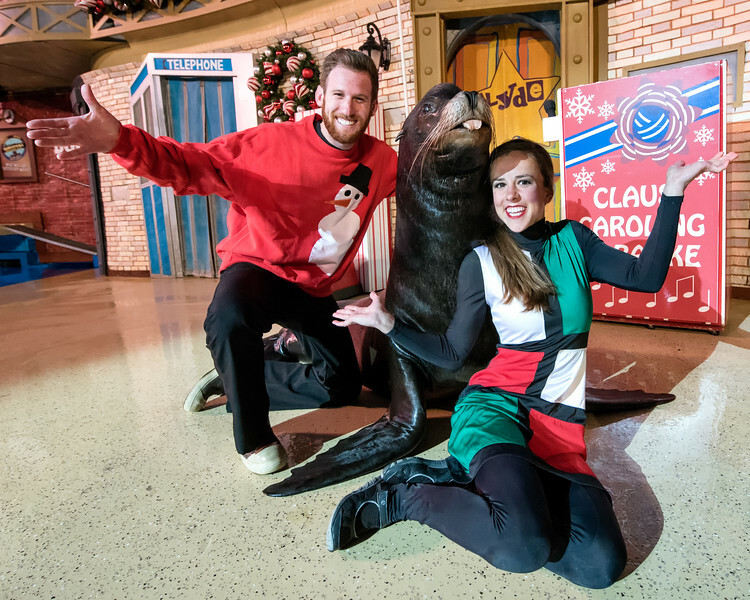 SeaWorld’s beloved California sea lions and their mischievous co-host, OP Otter, are together again to create a family favorite show filled with laugh-out-loud holiday cheer in this spoof of a nighttime TV Christmas special. SeaWorld’s playful dolphins celebrate the holidays with a tropical twist, performing amazing athletic feats set to island music, in . Santa’s Christmas Village presented by Coca Cola. Using a new texting service, parents can check in for a reservation that will hold their child’s spot in line to meet Santa, so that the family can explore the Village, including “Merry Moments” with Santa’s friendly elves, story time with Mrs. Claus and delectable culinary creations. When it comes to lights and decor, SeaWorld goes all out, with hundreds of Christmas trees, 5,000 feet of garland and more than a million holiday lights, including the park’s iconic 320-foot Skytower Tree of Lights, the largest Christmas tree in Southern California. Animal habitats such as the Penguin Encounter get a splash of holiday spirit with specialty-themed décor inside. And outside Nautilus Amphitheater, guests will find the Cat’s Christmas Parlor, where the feline stars of Pets Rule! hang out in their own holiday-themed house. New tiered Pass lineup, which starts as low as $7.99 a month. SEAWORLD’S CHRISTMAS CELEBRATION takes place at SeaWorld San Diego November 17, 2018 through January 6, 2019.